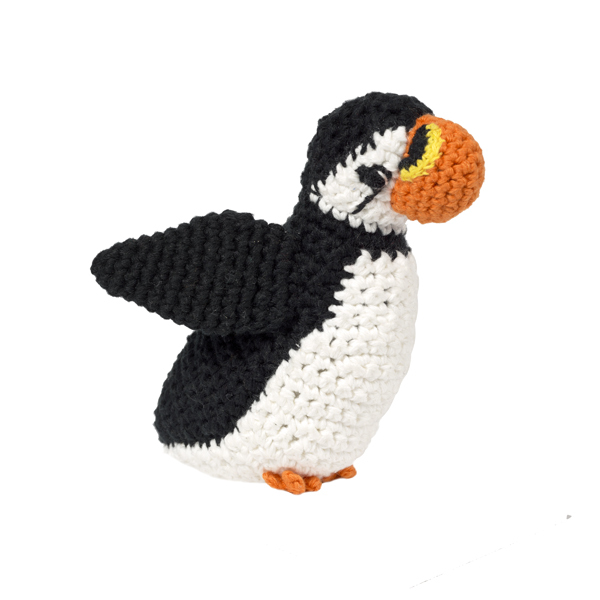 This beautiful crochet puffin rattle is inspired by seaside holidays around the Scottish coast. It captures the humour and spirit of this quirky seabird. Pebble toys are made in Bangladesh by a workers co-operative which provides fairly paid employment to women in rural locations. This duck is ready to paint a masterpiece. He is based on the famous painter Pablo Picasso, who re-defined painting in the 20th century. 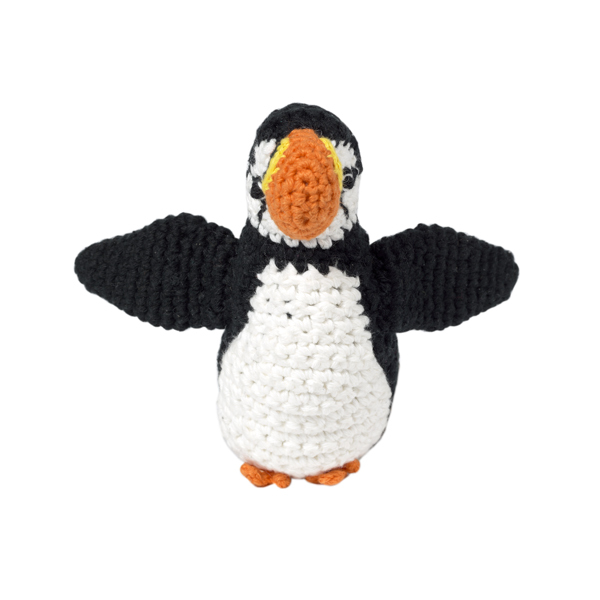 This plucky piper is the perfect gift for anyone who is young at heart. With his traditional dress and set of pipes, he'll fit right in to your bathtime routine, or brighten up your mantlepiece.